It is difficult to know where to start in describing this magnificent home. Set on a secluded, large plot within stunning gardens, in one of the most sought-after roads in West Parley - this lovely bungalow offers space, style, peace and seclusion. There are 3 double bedrooms, with the master bedroom including a walk-in wardrobe and ensuite shower room with sliding doors out to the private patio area of the rear garden. There is a study that could easily be a 4th bedroom, large lounge leads to kitchen / breakfast room and separate dining room. 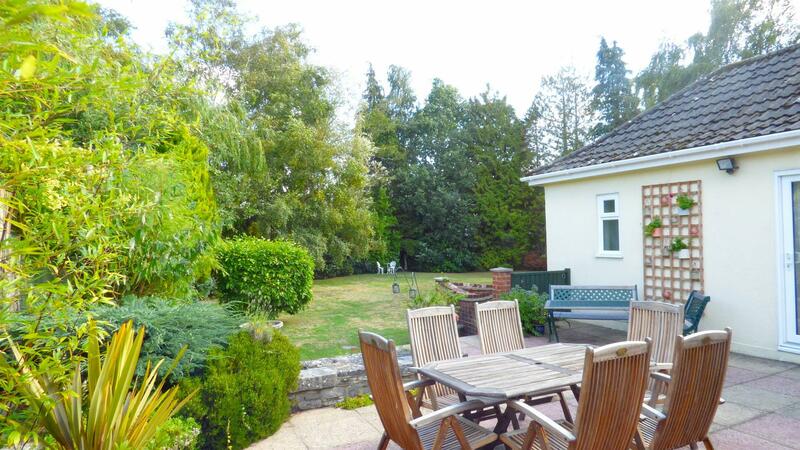 In addition, there is a charming conservatory / sun lounge over looking the patio and the beautiful rear garden with the backdrop of lovingly maintained mature trees and shrubs. 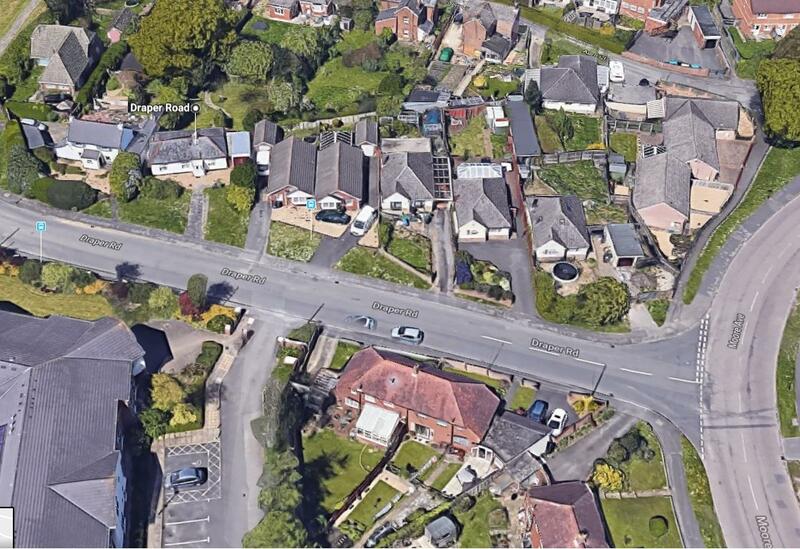 There is plenty of parking for cars and a motor home or caravan, leading to a large detached double garage with electric and lighting. 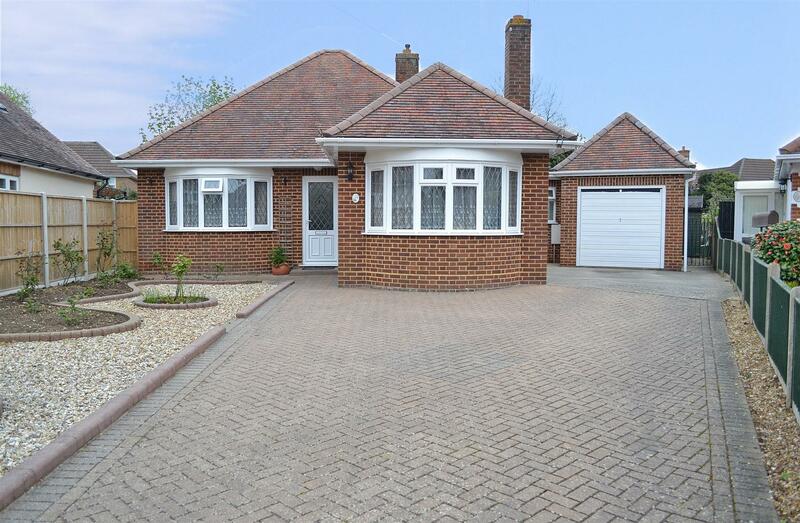 The bungalow has UPVC windows, doors, fascias, soffits and gutters throughout and modern gas central heating. The whole property has complete privacy, being surrounded by trees and shrubs and charming hidden secret areas making it a delight to discover and enjoy. Being just a short walk from the Parley Common Nature Reserve, garden centres, St Mark's Church, and The Curlew pub and restaurant and only 1 mile from Ferndown town centre - this really is a home for life. Don't miss this rare opportunity. Locations don't get any better than this. Call The Bungalow Centre to book your viewing. 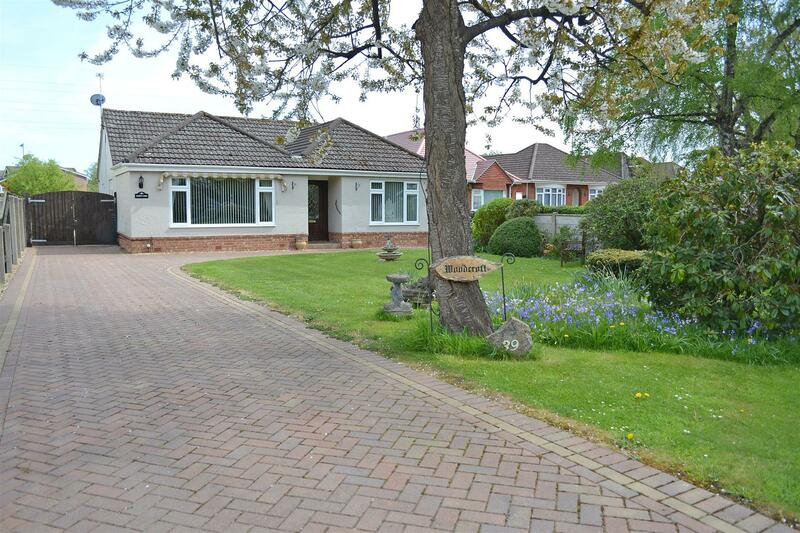 A beautiful semi-rural setting in a leafy lane... For a real picture postcard location, this simply wonderful bungalow is hard to beat within this price region. Having been considerably extended and modernised in recent years, the bungalow must be viewed in person to be appreciated. The wide and welcoming entrance hallway presents double glazed doors leading through to a superb size lounge-diner with a large feature window overlooking the picturesque front garden. Other aspects include a recently updated kitchen with integrated appliances, a centrally heated UPVC conservatory, two double bedrooms, both with an array of fitted wardrobes and cabinets, and a 3rd bedroom/study with a Velux window. The block paved driveway provides ample off road parking for numerous vehicles, with plenty of space for a motorhome, caravan or boat. There is also a garage behind large double gates. The back garden is nicely private and is mostly paved and shingled for ease of maintenance. 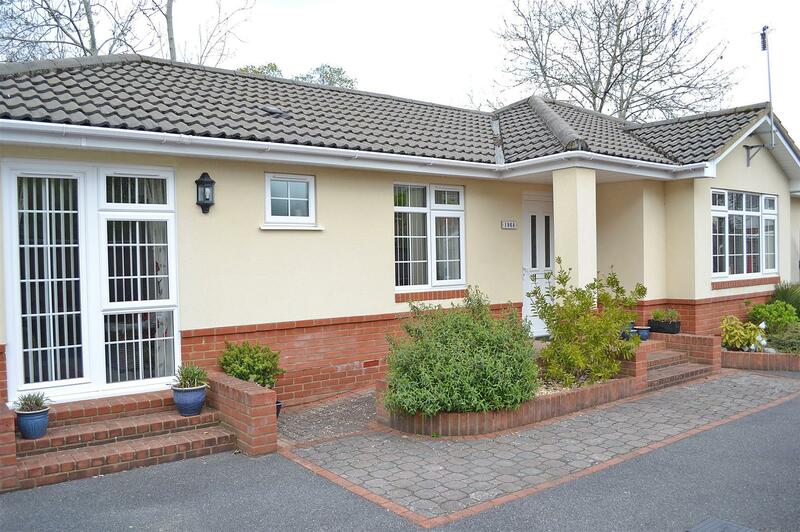 Despite its peaceful setting, the bungalow is close to main road links to Wimborne, Ferndown, Bournemouth and Poole. N.B. These are draft details for which we are awaiting verification from the vendor. A truly exquisite property, with high specification fixtures and fittings, and presented in beautiful order throughout. The accommodations starts with an entrance porch with sliding doors concealing a utility area with plumbing for a washing machine, ventilation for a tumble dryer, and plenty of shelving. From the internal hallway, there are two bedrooms, the master having large double-height wardrobes, a rear aspect lounge with French doors out to the garden, fully-tiled bathroom with underfloor heating, two heated towel rails, bath and a separate shower cubicle, and a kitchen-diner with an integral oven, induction hob, fan hood, microwave, dishwasher, fridge and freezer. The garden faces a Southerly aspect and is easy to maintain, with Astroturf, timber decking and lighting. A substantial garden office and store room has been recently constructed and has air conditioning, solid wood flooring, sensor lighting, and a separate fuse box. The bungalow has gas fired central heating with a combination boiler, and is well insulated, with 300 mm. of loft insulation. Close to the Hill View shops, Redhill Park, and picturesque riverside walks, this is an ideal home where a buyer can move straight in without any improvements needed. 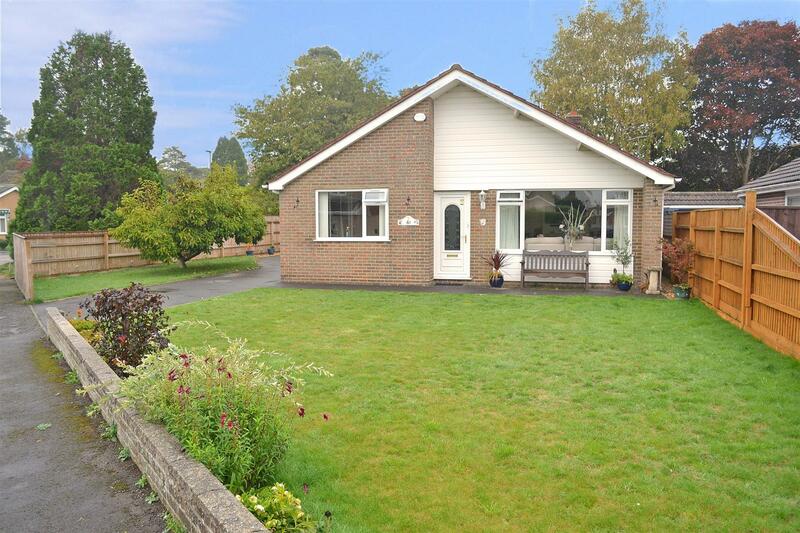 It is a pleasure to bring to the market this lovingly maintained 3 bedroom detached bungalow, which is nicely decorated throughout and is situated in the ever-popular area of Northbourne, close to the Hill View shopping parade, Redhill Park, regular bus routes and picturesque riverside walks. Inside, the accommodation includes a rear aspect lounge with a feature fireplace housing a gas fire, and recently replaced French doors leading out to the patio, a modern kitchen with an integral oven, gas hob and fan hood, and a bathroom with a shower over the bath and a heated towel rail. The Southerly aspect garden measures approximately 50' x 30' and comprises a paved patio, Astro turf, flowerbeds, pond and two storage sheds. Behind the kitchen is an external store room (currently housing a tumble dryer), however some residents in the neighbourhood with the same layout have 'knocked through' from the kitchen into this space to extend the kitchen. The owner of the bungalow has already found a specific property to buy. Therefore, we are keen to encourage viewings at your earliest convenience. 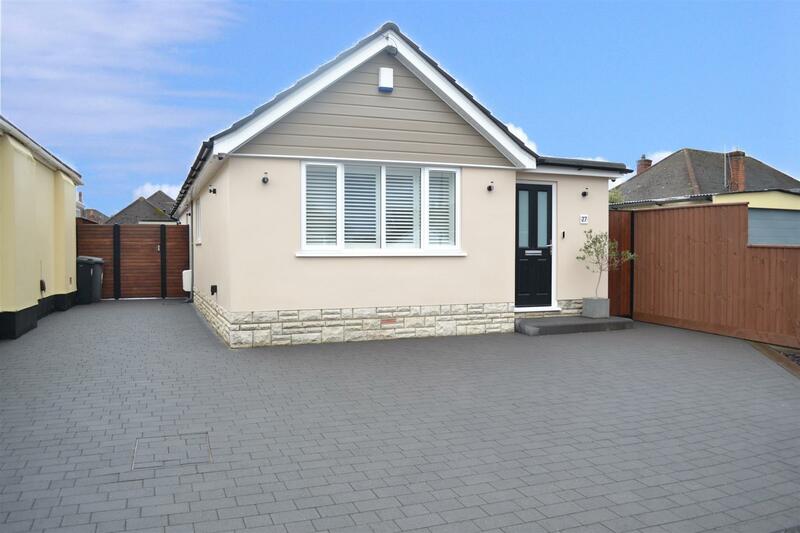 This wonderfully light and spacious bungalow has been comprehensively refurbished to a high standard by professional, experienced developers. The bungalow has been fully re-plumbed, re-wired and re-plastered, with a new consumer unit, radiators and pipework, and combination boiler. The highlight of the accommodation is a large open-plan lounge-kitchen-diner with French doors out to the garden. The kitchen was made by Howdens and comes with integral 'Lamona' appliances: oven, gas hob, fan hood, dishwasher, washing machine, fridge and freezer. There is also a fully tiled bathroom with a Monsoon shower over the bath. The garden is all on one level and has been re-landscaped with a paved patio and lawn. There is some new fencing. Headswell Crescent lies within a highly favoured residential area on the borders of Northbourne and Redhill, close to the Hill View shops and primary school, Redhill Park, picturesque riverside walks, and Castlepoint Shopping Centre and Bournemouth Hospital both being just a few minutes' drive or bus journey away. 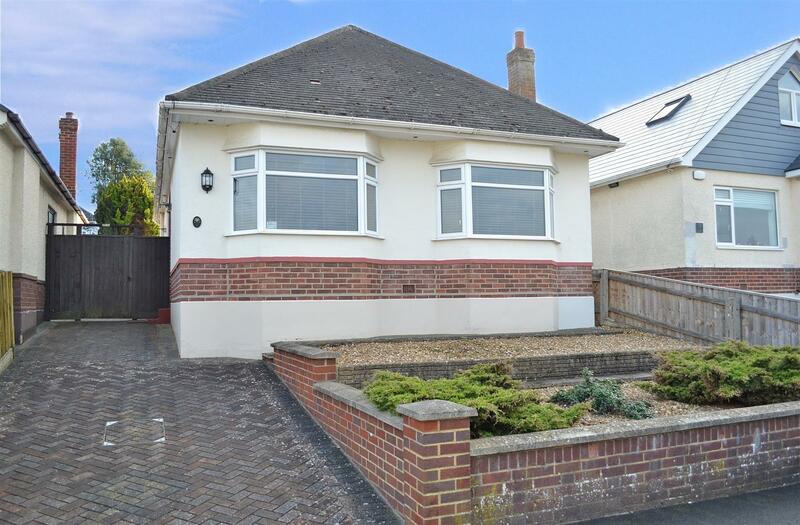 This stylishly modernised and significantly extended bungalow has 3 bedrooms, with the potential to create a 4th, plus a large and impressive open plan lounge-kitchen-diner with French doors out to the garden, and patio doors through to a UPVC conservatory. 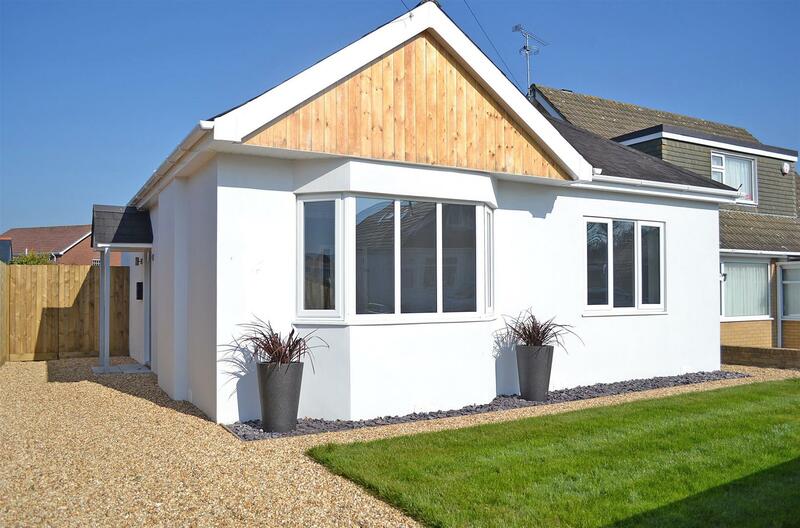 The bungalow has an extended double garage measuring 27' x 17'4 and has a remote-operated electric roller door, power and lighting, and is currently kitted out with a bar. 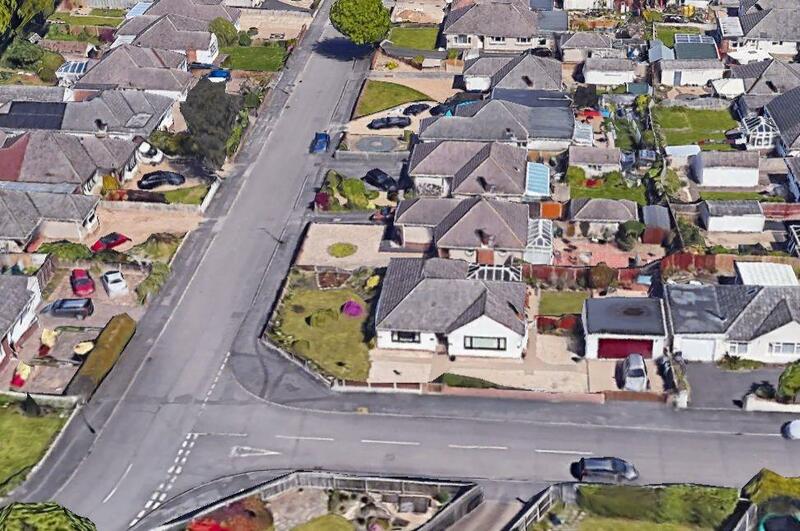 In front of this, a large shingle driveway provides off road parking for numerous vehicles, with plenty of space for a motorhome, caravan or boat. The kitchen was refurbished in approximately 2013 and has an integral oven, 5-ring gas hob and fan hood, plus a breakfast bar. As well as three bedrooms, there is a contemporary style fully tiled bathroom with both a bath and a corner shower cubicle, plus a heated towel rail.